Among the most fun ‘jobs’ of the year at CAPC is reviewing the poster abstracts that are submitted to the annual CAPC National Seminar. This year’s Seminar focused on “Practical Tools for Making Change.” Accordingly, the more than one hundred selected posters were examples of programs that have found inspiring and original ways to achieve an objective, whether that objective was to reduce ED visits through home-based palliative care, integrate spiritual care at a cancer center, use telehealth to reach distant patients, or educate new palliative care nurses. This year–for the first time– fourteen exemplary posters were selected to receive special recognition at Seminar. 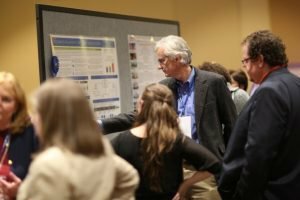 Each of these posters featured creative responses to common challenges or opportunities in the field, demonstrated a rigorous change process, and documented that change process clearly in order for other Seminar attendees to take away practical ideas. Learn more about the fourteen recognized posters below, and read the full posters on CAPC’s website. One quadrant in the poster hall focused on palliative care models designed around specific patient populations or specific care settings. Harris Regional Hospital and Swain Community Hospital tackled the challenge of providing cross-continuum care for patients spread over a wide region of rural North Carolina in Palliative Care in a Rural Healthcare System, exhibiting quality community services that fill a critical gap for patients and are financially sustainable for the organization. Meanwhile in the San Antonio region, Wellmed Medical Management developed a fully-integrated Medicare Advantage Clinic Congestive Heart Failure (CHF) / Palliative Care Program that showed dramatic improvement in patients’ heart failure symptoms and documentation of care goals in the clinic’s first year. A second program to collaborate for best heart failure care was North York General Hospital (NYGH), whose poster described the interprofessional Supportive Cardiology Program that the team established to provide early palliative care in advanced heart failure. Since the program launched two years ago, the number of admitted NYGH patients with heart failure who were referred to Supportive Cardiology increased by 300%. 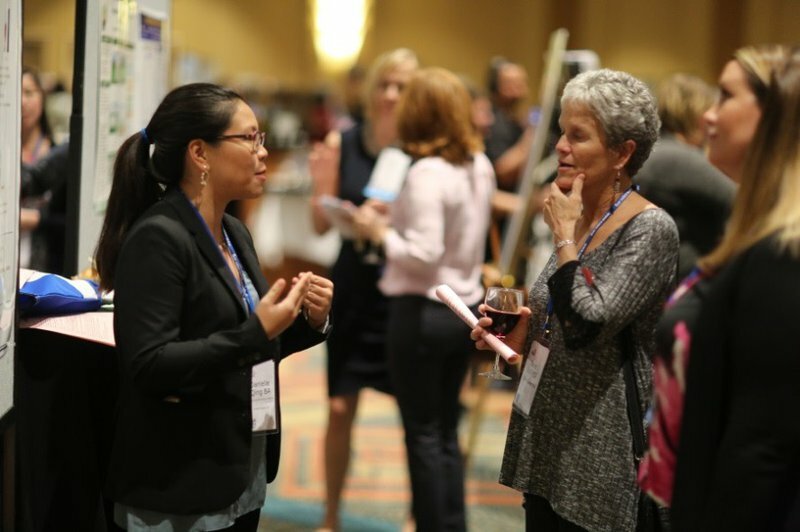 The team shared their experience with program development, use of referral criteria, model of care, screening tools, and successes and challenges at the 2016 poster session. At the Silvercrest Center for Nursing and Rehabilitation and New York Presbyterian/Queens, the palliative care team found a creative way to bridge care transitions by building a nursing home rotation into their HPM fellowship structure. Nearby in Long Island, Northwell Health addressed its region’s high rates of last-six-months hospitalization in its project, Collaborative Care: Decreasing Unwanted Readmissions. The Geriatric and Palliative (GAP) care team at Long Island Jewish Medical Center (LIJ) targeted patients being discharged to the SNF for care transition and care planning services, and the poster documented an impressive reduction in hospital admissions for patients in the program. Another program with a focus on quality advance care planning submitted a poster from Northern Arizona University. In its pilot study, the Arizona team tackled state barriers to advance care planning by using a grassroots approach to POLST documentation. An example of a very different approach came from the UCLA Health Advance Care Planning Initiative, which is creating a system-wide mechanism to identify patients for care planning, embed trained ACP experts across sites, and measure the impact of care planning on patients. These approaches from Northern Arizona and UCLA demonstrate that there is no such thing as a ‘one size fits all’ approach to care planning—the best solution is the one that is responsive to priorities and resources of the community and to the existing capabilities of the organization. The team at UCSF’s Palliative Care Quality Network (PCQN) demonstrated the importance of data collection and its effect on measuring impact and value in its poster, How Standardized Data Collection Informs Palliative Care. PCQN is a consortium of 71 members in the United States entering standardized clinical data on 48,290 palliative care patient encounters. This type of multicenter dataset assists in defining best practices, while continuing to drive quality improvement in palliative care. 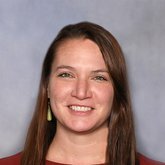 Meanwhile in North Carolina, the team at the Duke University Department of Community and Family Medicine demonstrated the impact of a statewide medicaid palliative care intervention, in which seriously ill Medicaid patients were identified for palliative care services delivered by a care manager embedded in the primary care setting. Patients who received care manager-delivered components of palliative care incurred fewer costs, had fewer hospitalizations, and spent more days in hospice at the end of life. Another program to demonstrate effective delivery of community-based palliative care was Interim Healthcare, a community-based post-acute care organization providing home care, hospice care, and palliative care. Their CarePoint™ palliative care program uses a system level approach. By offering palliative care in addition to the organization’s hospice and home health services, the program achieved decreased symptom burden for patients, lower health costs, and reduced ED visits. 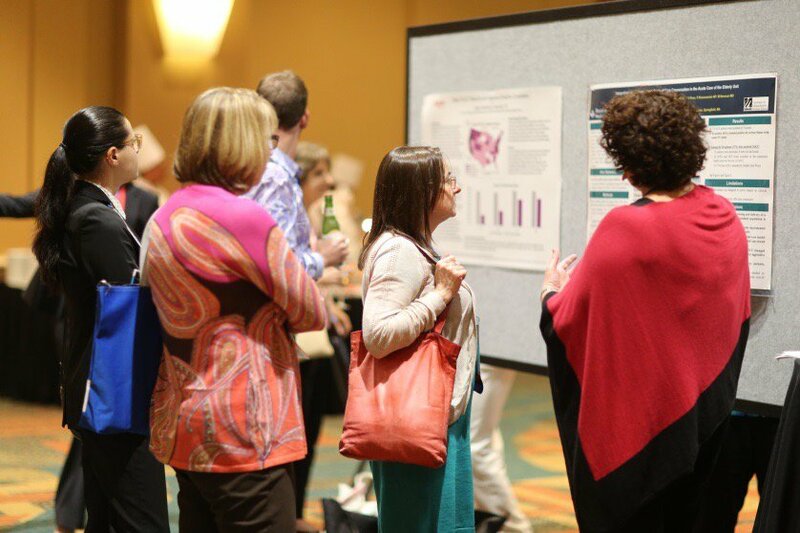 This year’s poster session was also an opportunity to honor the achievements of programs focused on quality improvement in service delivery. In A Visual Guide of a Palliative Care Workflow in a Hospital Setting, Trinitas Regional Medical Center (TRMC) challenged their palliative care workflow to maximize efficiency and effectiveness. Their visual diagram serves as an example for other programs looking to reexamine their team structure, process, and protocols. At Newton-Wellesley Hospital, A Primary Palliative Care Pathway for Hospital Medicine called on research and insights from the patient safety literature to convene a multidisciplinary and multispecialty panel of experts to design a care pathway to support hospitalists in discussing prognosis and goals of care in the context of prognosis and then translating and aligning preferences into the subsequent care plan. In Growing the Tribe: Creation of a Regional Palliative Care Collaborative, Main Line Health System provided a roadmap for field leadership with its framework for building regional palliative care organizations and leadership using the case study of the Delaware Valley Palliative Care Collaborative (DVPCC). Through the DVPCC collaboration, participating Philadelphia-area palliative care programs have conducted a regional needs assessment, shared training materials, and are in the process of developing a mentoring network to cultivate emerging palliative care leaders. Many projects at the poster session aimed to apply technology to enhance program reach or to improve efficiency. Trinitas Regional Medical Center improved the timeliness and efficiency of palliative care consults by implementing standardized and universal palliative care triggers, real-time patient lists that result from this screening, and automated email notifications about new patients to the palliative care team in its EHR. 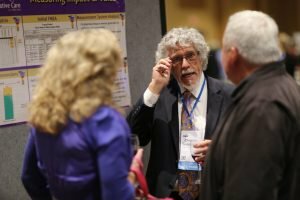 CAPC thanks each and every poster contributor for sharing their solutions with the palliative care community at the 2016 National Seminar.